Sold by RLS Sales Inc and Fulfilled by Amazon. Gift-wrap available. 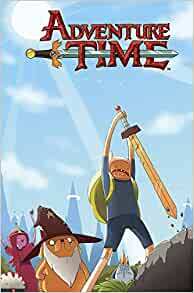 The highly anticipated fifth volume of the all-ages bestseller Adventure Time is here! Princess Bubblegum is facing a lot of trouble when one of her experiments backfire on her, the land of Ooo is in danger...and so are her friends! Without the help of Finn and Jake, it’s up to Princess Bubblegum to clean up her own mess, and hopefully save her kingdom in the process. Sold by RLS Sales Inc and ships from Amazon Fulfillment. 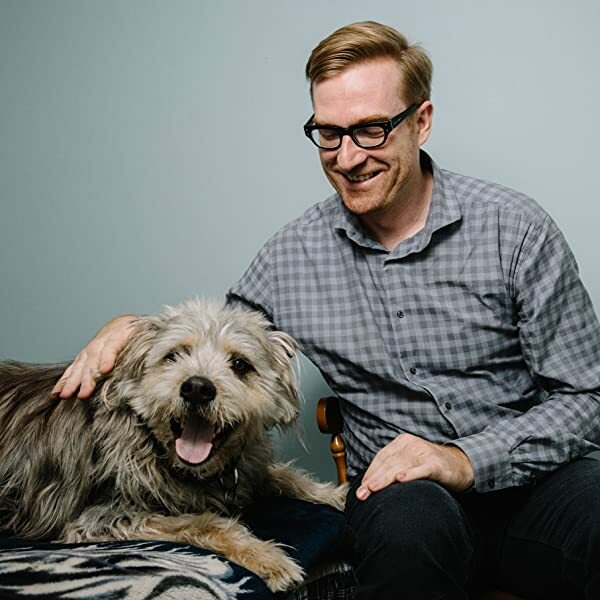 Ryan North is the Toronto-based creator of Dinosaur Comics, co-editor of Machine of Death, and writer of ADVENTURE TIME. He is also the creator of Project Wonderful, an auction-based ad serving system. Boston-based Shelli Paroline and Braden Lamb are the artist team behind the top-selling all-ages comic book, ADVENTURE TIME for BOOM! Studios, as well as TRICKY JOURNEYS #3 for Lerner Publishing Group. Shelli is also a founding member of the Boston Comics Roundtable. 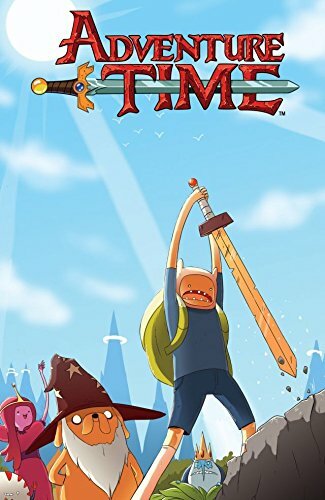 Start reading Adventure Time Vol. 5 on your Kindle in under a minute. 5.0 out of 5 starsWe do not watch the show but we love the comics!! My seven year old son loves these books. He was very thrilled to get this installment of the Finn and Jake adventures. We do not watch the show but we are completely able to follow along with these books - we have all four. As a mom, I like this comic book because the language is quite manageable for his age and the humor is appropriate for him. There was a lot of dealings with the Ice King in this one and you just have to love him after this book. The one big shocker for us was learning that Finn has beautiful long flowing hair - who knew?!! We kind of wished that the writers would elaborate as to why he has the prettiest hair we have ever seen - how does he fit it into his hat? - oh well. I would highly recommend this comic (all 4 books) since it is fun (we always say bro and totally math now), age appropriate for younger readers and it is light hearted - nothing too dark or creepy (okay there are some dungeons but not scary or give-you-nightmare type dungeons). Happy reading!! Kids love it and it came right on time! 5.0 out of 5 starsmore reading time. My 10 year old grandaughter loves these books. She reads more than ever when she gets these books. I'm very happy with that. AT Comics and Comixology are the best! 5.0 out of 5 starsFavorite series!! 5.0 out of 5 starsand it's all good. These comics never fail to impress. They somehow manage to keep the heart of the show alive in every volume. From the art style to the humor. It's all there, and it's all good.